The original Kabuki style Jessup brushes (also knows as the eBay brushes) broke out in our blogging world sometime last year. 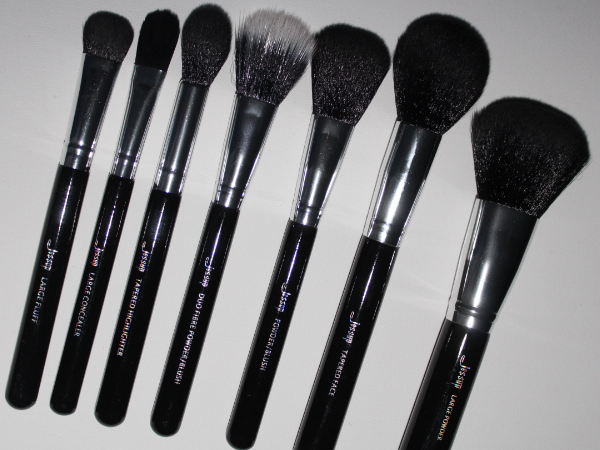 They made a HUGE impact as they were super cheap, great quality and comparable to the infamous Sigma brushes but at a fraction of the price. 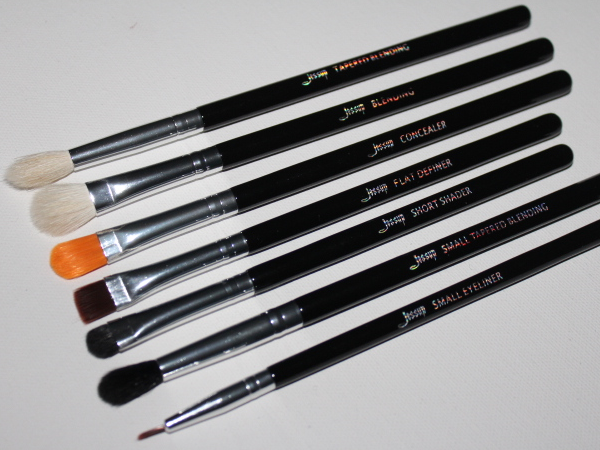 The Jessup brushes have now upgraded and developed to be much more soft, fluffy and gentle on the skin. 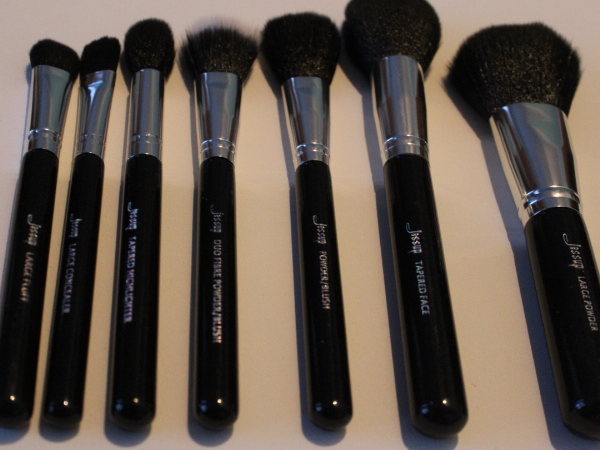 The range has also been extended with a few extra brushes added- how handy! As soon as I opened the package, it smelt strongly of paint so I had to wash them straight away before using it on my skin. During the first wash, I experienced minimal shedding from a few brushes and less shedding to none on my third wash. The smell disappeared after the first wash and dried quickly overnight. 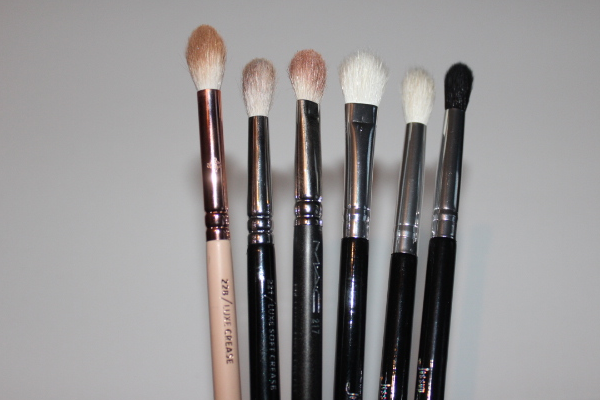 (click here) to read up on how I wash my brushes. 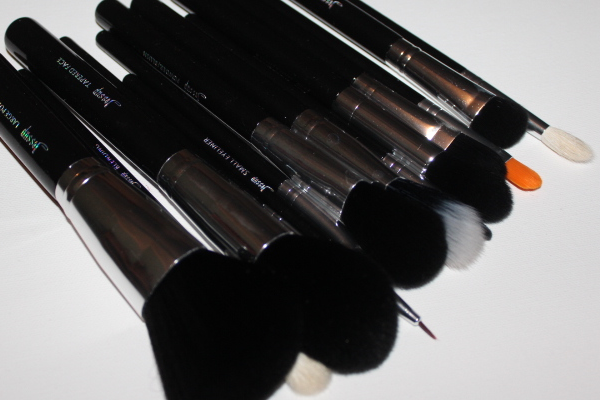 The 14 piece brush set comes with 7 face brushes and 7 eye brushes. The larger brushes come with brush guards which is good to put back onto the brushes whilst they dry after washing to keep its shape. This large rounded paddle brush can be used to apply powder to set your foundation. This brush is much more dense than the Jessup Large Powder Brush. 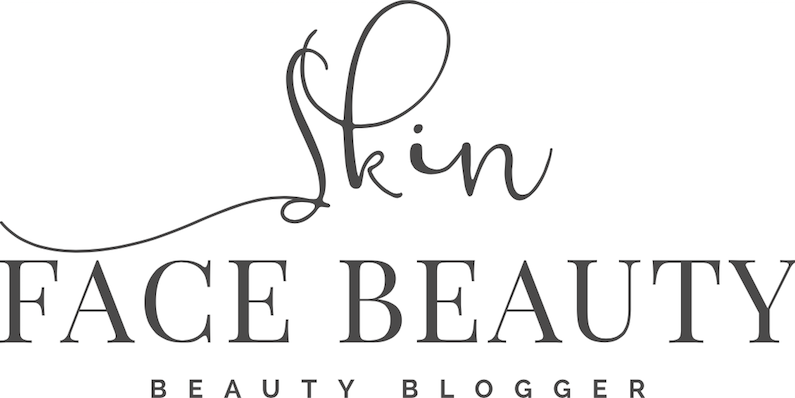 It can be used for bronzers, blushers or powder applications (especially under the eyes and the t-zone). Perfect sized brush to apply bronzer on the temples and blush on the cheeks. 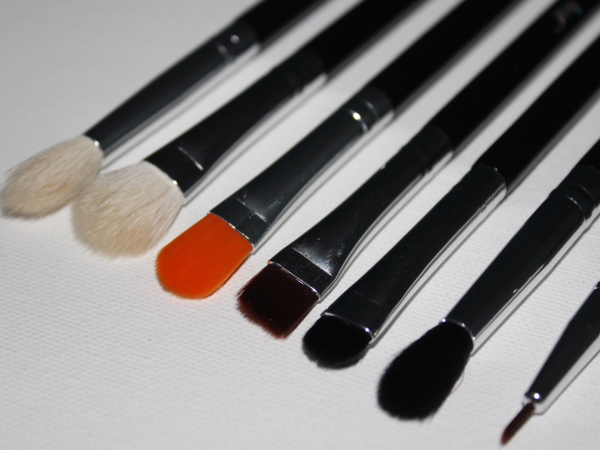 The duo fibre brushes in general are meant for cream products such as foundations, concealers, contours and blushers. I've always reached for my sponges so I don't really get to use them but can be handy while my sponges are being washed. For applying highlighter on top of the cheekbones, forehead and down the nose. I haven't really used this for concealer but it's always handy to have a flat brush like this to apply a face mask evenly and smoothly on the face. I've used this brush to draw out my contour on my nose, cheeks and forehead. 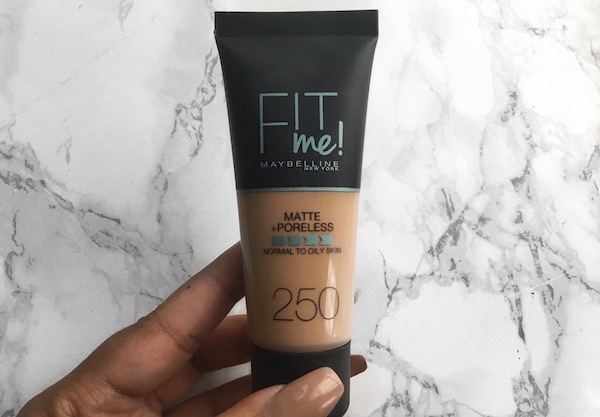 It's also good for highlighting cheek bones and blending concealer around the brows. Just your normal blending brush. This is similar to the Mac 217, however this is better for people with smaller or hooded eyes for precised blending. 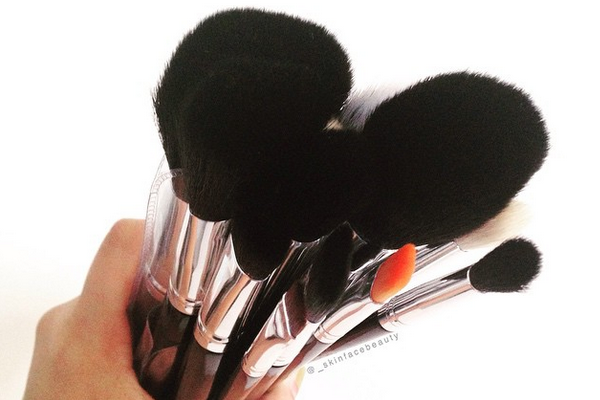 The brush every eyeshadow-lover must own! It's good for blending, shadow application and clearing up fall outs. I mentioned this in my 'TOP 3 Blending Brushes' post (click here). I purchased the Mac version after seeing jmaybelline on instagram use it in her infamous lipstick application videos to sharpen the edges of the lips. The Jessup's version works just as well. It's also good for applying concealer in targeted areas such as around the nose and the inner corners of the eyes. I guess this brush can be used to fill in the brows or apply concealer under the brows but it's not angled at all. You can snip the ends to make it an angle brush- that way it'd be much more versatile. 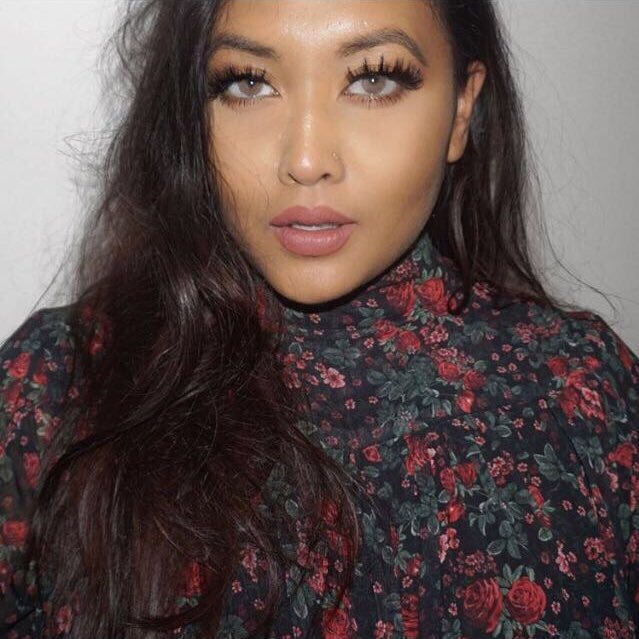 It can also be used to apply and smudge eyeshadows on the lower lash line. This brush can be used to apply highlight in more targeted areas such as the inner corner of the eyes and under the brows- it also does a fab job of blending eyeshadows on the lash line. Works very similarly to Mac 222 and Mac 217, it's just a tad bit smaller. It's always good to have a spare to soften a look at the end of a makeup look if needed. Just your basic eyeliner brush used with gel products. I haven't used this yet but you'll have updates in this along with the other brushes on my instagram (_skinfacebeauty). I most likely won't get the chance to use all the brushes every time, but I like to alternate my brushes. So when one set has been washed and is drying, I have another set to use. I'd definitely recommend these brushes to beginners as well as those who are already in love with makeup application. 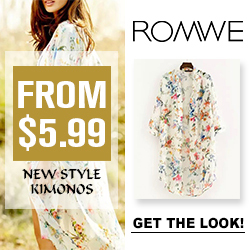 They are affordable, at amazing quality and super soft! Now, I've seen UK based people selling these for ridiculous prices on eBay and DEPOP so please don't be fooled into paying extra for no reason.